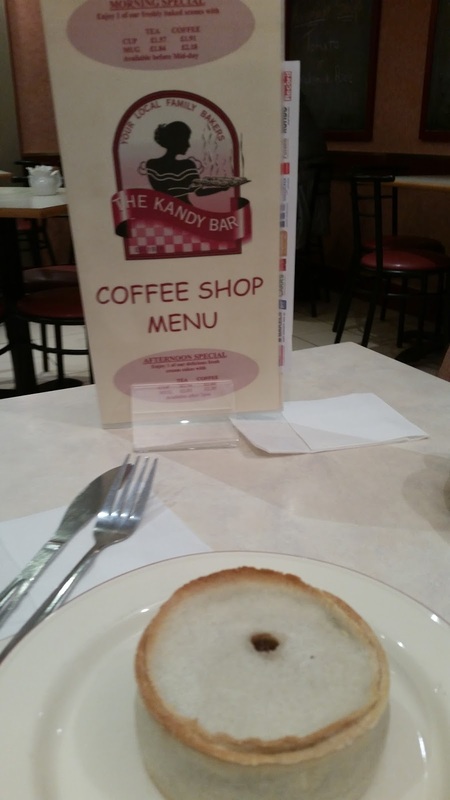 Pierate - Pie Reviews: Pierateers pie rate the Kandy Bar World Scotch Pie Champ! 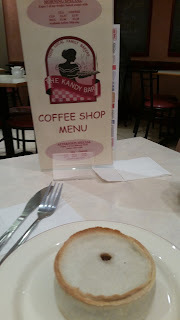 Pierateers pie rate the Kandy Bar World Scotch Pie Champ! There are very few pies that have had the accolades that a certain minced beef offering on the West Coast of Scotland has had. 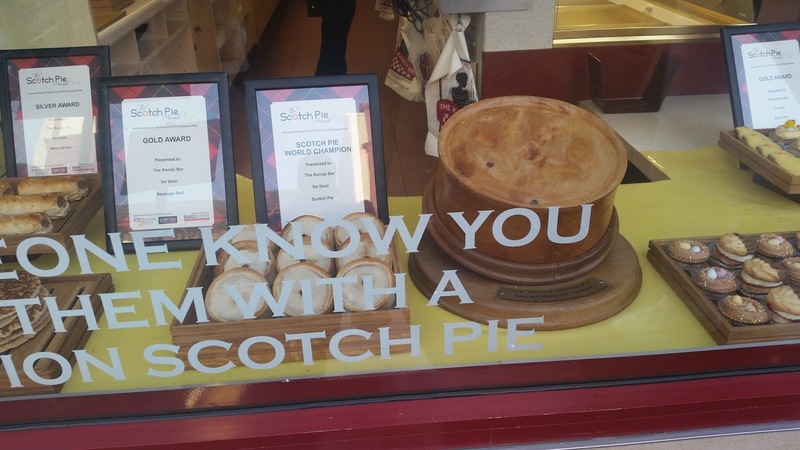 Not only did it win the World Scotch Pie Championship in 2014 but they repeated the feat again in 2016 – while the pie still won “Best Scottish Football Pie” in 2015 when they kindly let someone else have the honour of World Scotch Pie Champ! 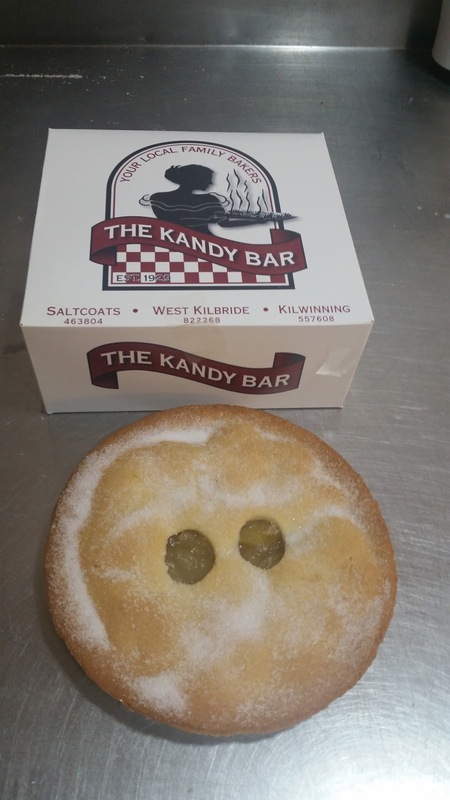 We are of course talking about the Kandy Bar Bakery Scotch Pie, sold in the family run Kandy Bar Bakery based in Saltcoats on the Scottish west coast. 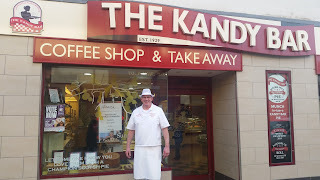 Shortly after it won the World Scotch Pie Championships in 2014 – which Pierateer Sam was a judge at but in the steak pie category – the Kandy Bar Bakery Scotch pie was added to our “Pierate Pie Hit List” as one we wanted to get our hands on, though being based in southern England it had proved a logistical challenge. However upon hearing they had bagged the top title at the Scotch Pie Club Awards 2016, thus re-affirming their status as the top scotch pie producer for the second time in three years, we knew it was a pie we needed to get rating! Therefore as part of Pierateer Rob’s Pie Pledge for British Pie Week, he made the mammoth 300+ mile journey to the west coast of Scotland to find out what all the fuss was about and get a tour of the bakery by owner Stephen. Having arrived in Scotland in the early afternoon, it was nice to see the sun shining over this quaint holiday resort as I made my way up the little high street. 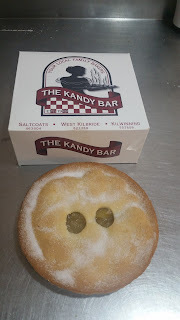 As I headed past the newly done up town hall and the smaller bakery outlet on Dockhead Street I happened to end up walking behind a man carrying a tray of scotch pies towards the main Kandy Bar Bakery store on Hamilton Street, and immediately sensed I must be on the right track! The man carrying the pies turned out to be bakery owner Stephen, who was just making sure there were plenty of pies available at the main shop for my visit! Top man! We have to kick off with the World Champion Scotch Pie, which was the best Scotch pie Rob had tasted and one of the best Sam had tried. Sam has purveyed a number of Scotch Pie outlets when in Scotland for the Scotch Pie Club Awards a few years back and on holiday in Scotland last year, creating our “What is a Scotch Pie?” article and leader board. He particularly noticed the softer crisp outer shell, which Stephen had already told me in my visit is intentionally softer than most other scotch pie providers. The pastry certainly wasn’t too soft though, with a noticeable crunch through the pastry rim and holding together well as we ate it by hand. 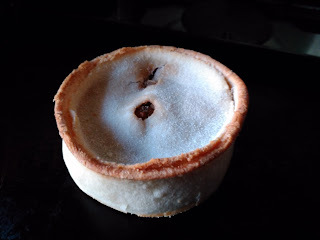 The colour of a scotch pie is generally a lot paler than traditional shortcrust or puff pastry pies, which does naturally bring the colour score down a bit when considering the whole spectrum of pies available but was still very good for a scotch pie. 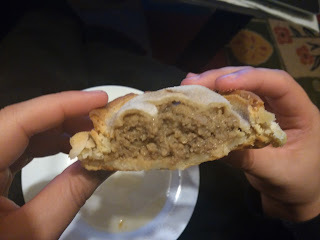 Likewise the content of the pie was very good for a scotch pie, though a minced beef filling - however well-seasoned - will struggle a bit with more illustrious steak fillings! Overall though, these were small criticisms of scotch pies in general, and this was a premium example of Scotch Pies done well! Having got through the initial pastry layer, it was then that we were confronted with a lovely, juicy and packed flling. A bit of juice oozed out of the pies as we bit into them, which kinda comes with the territory with a scotch pie! To be fair it would be far too dry and taste worse without the bit of fat you get oozing out of a scotch pie! The beef mince was nicely flavoured and not at all bland, leaving a little kick in the mouth as you tucked in. What I hadn’t realised until talking to Stephen is that Scotch pies tend to be far more seasoned on the West coast of Scotland than the East coast, which does explain the range of seasoning found in many of Sam’s range of pie reviews! The filling was very good and capacity was pretty much spot on! Once aware of the juicy filling, which meant the plate I was eating off came in very handy, I thoroughly enjoyed the pie and the minced beef was very good quality. At 86p cold or £1.03 hot (due to the UK VAT laws on hot food) it’s almost rude not to take a box home with you! I was certainly glad to! Sam also tucked into the Scotch Onion pie. Often shortened to the Onion Pie – as a distinction to the more famed Scotch pie but not to be confused as being just a pie filled with Onion! – the Scotch Onion Pie was naturally very similar to Scotch pie in terms of the pastry quality, crispness and filling capacity, but with the added flavour of the onion. Sam had expected more of a strong onion flavour, it wasn't as oniony as the Simpson's one he had tried, in fact it was pretty similar to the Scotch pie with perhaps a little more flavour. There were some small pieces of onion that could be found. Many people would be pleased that that the onion wasn't overpowering. It was hard to separate the two, so we've given the Scotch pie and Scotch Onion pie the same score and will let you decide which one you'd prefer! 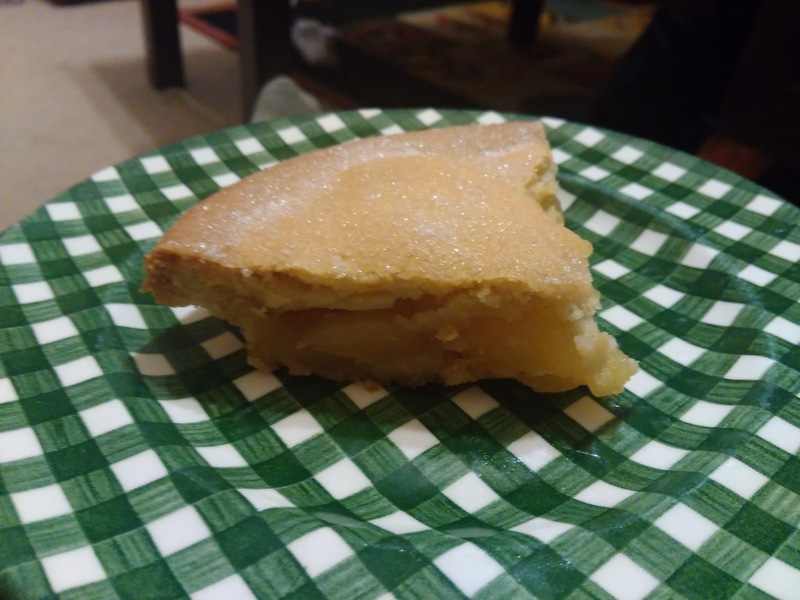 Finally, Rob had taken home a family apple pie from the bakery, which did very well to survive the flight and journey home with not even the slightest crumbling! Upon tasting it, from the first bite Rob commented this was one of the best apple pies he’d eaten and we were immediately likening it to the Pierate Highly Recommended Apple Pie we had enjoyed from Graham Aimson at Morecambe Football Club, which was not only highly rated by us but also won Supreme Champion at the British Pie Awards 2014! Sam noted that it was sweet but not too sweet with a great crunch to the pastry. The chunks of apple were tender but retained some bite. The pie was a fair bit shallower than the apple pie at Morecambe, containing less apple filling, which divided opinion slightly with the Pierateers. Rob preferred the slightly higher ratio of sweet pastry to apple filling, while Sam would have preferred a bit more apple in the pie. 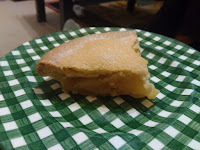 But at £1.75 for the family apple pie, which would easily have catered for 4 people, we both agreed this was a great apple pie at a very reasonable price. I was certainly pleased to have picked one up on the way out of the shop! Despite being a bit hesitant as to whether it would last the flight intact, it certainly proved me wrong and was delicious! I’d love to try the rest of the fruit pie range on my next visit! All that really is left to say is that – while I totally understand Stephen’s reasons for not supplying his produce outside of the family bakery he runs – I sure wish there was a Kandy Bar bakery outlet nearer to where I live! The quality ingredients and craftsmanship of all three of these Pierate Highly Recommended pies is obvious and yet the prices provide such good value. 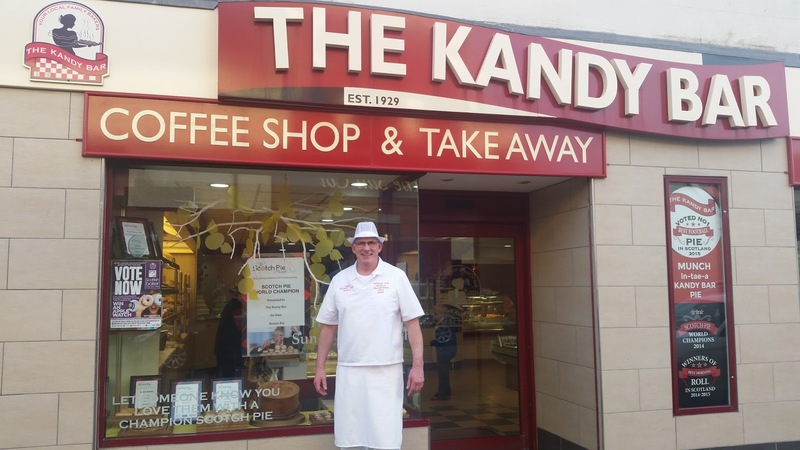 You’d be foolish if in the Glasgow area not to take a detour down to Saltcoats for a World Champion Scotch pie – or any other of the Kandy Bar Bakery’s top produce! Thanks once again to Stephen for his time with me and who knows – maybe he will be a hat-trick hero when it comes to the World Scotch Pie 2017 title? With the passion Team Kandy Bar show for quality pies, I certainly wouldn’t be surprised!